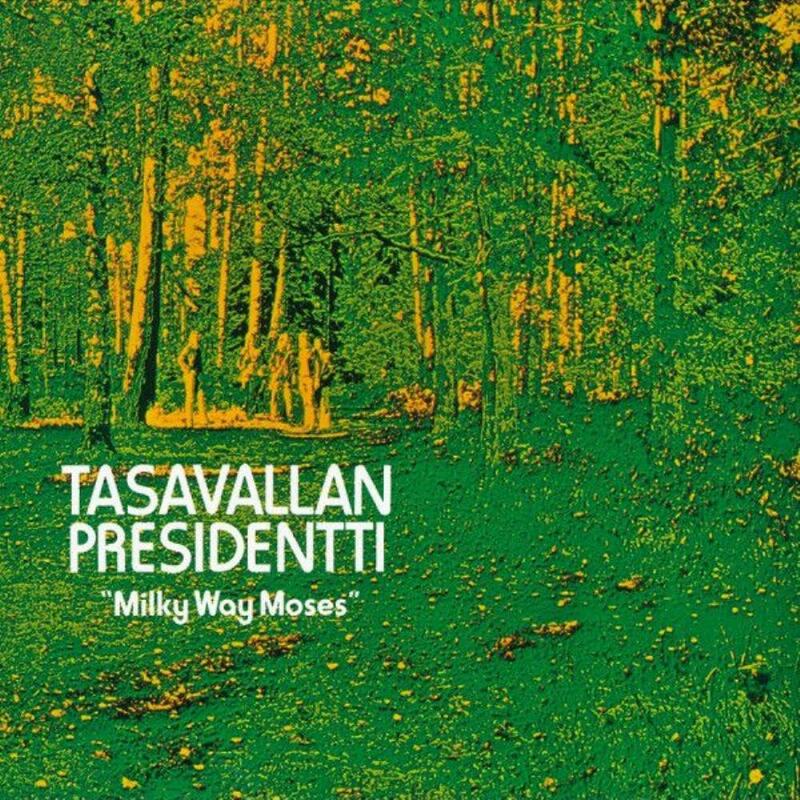 Last album from this second-most successful Finnish prog band after Wigwam, Milky Way Moses is more or less well in the line of its predecessors, but like everyone of them , has its own characteristics. Indeed, a further line-up change sees original bassist & organist Groundstroem leave (for crosstown buddies Wigwam) and be replaced by Heikki Virtanen, and leaving guitarist Tolonen and saxman Poyry to play keyboards. Graced with a bucolic forest artwork, MWM is a rockier and much more straightforward album than its predecessor. Surprisingly enough, Tolonen doesn't control the songwriting as much (Poyry does) and the lyrics were delegated to their crosstown rivals Wigwam's singer Jim Pembroke. Opening on the up-beat title track, the musical mood is a hard-rocking one, where Raittinen's vocals are much more at ease (read don't shock or raise eyebrows) than on the previous Lambertland album. The following Caught In The Air track is penned by jazzman Koivistonnen (who released a few good JR/F albums during that era), and it is the MWM track that is most reminiscent of the LL album, because jazzier, but a tad repetitive. The album-shortest collectively-penned Jelly is a 100 MPH hard-jazz-rock track that will knock your socks off, despite being complex. The flipside opens on the little-more-than-average rockier Confusing The Issue, but follows with the slow-starting electric piano driven almost 14-mins How To Start A Day, which slowly crescendos, but forgets to go places. As for the closing mid-paced Piece Of Mind, it opens on guitar arpeggios and a pedestrian bass, it's not exactly going out with a "bang". I'm not exactly on how or why the band stopped, but the present ended up being their last, but guitarist Jukka Tolonen would carry on with his solo career (started during the TP tenure) Not nearly as successful as its predecessor, MWM might have a better chance to please the rockier progheads, but IMHO, I even prefer their still clumsy debut to this largely less-inspired but still worthy album.